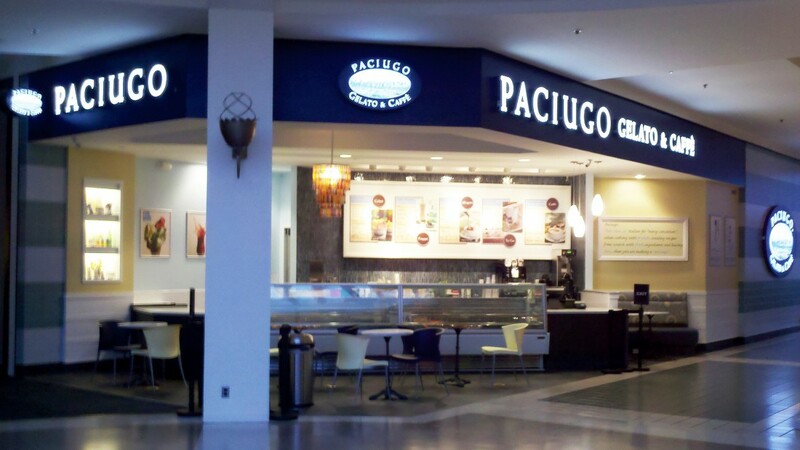 The corporate owners of Paciugo Gelato selected a major (and majorly intimidating) location for one of their new franchisees: the Mall of America. Our mission was to construct the new shop while guiding the first-time franchisees and adhering to the strict development guidelines of the U.S.’s largest shopping and entertainment complex. First and foremost, it was important for Gallant to build a relationship with the new owners. To give them security and help them understand the process, we walked them through the construction schedule each day and updated them on every important milestone. Second, Gallant met with mall personnel to proactively determine building restrictions and guidelines. This allowed us to adjust design plans to the mall’s standards before construction began and create an efficient construction schedule. Gallant built Paciugo Gelato a new and welcoming store space, following every one of the Mall of America’s exacting guidelines. This completed and successful location gave Paciugo corporate a launchpad for future franchise locations in the Minneapolis area.